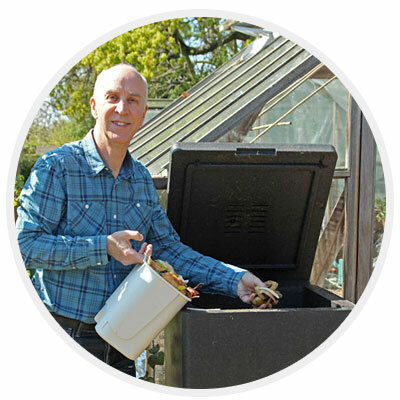 Looking for an easy way to start composting or a more efficient way to tackle your existing heaps? The HOTBIN composter may be for you! Easy to use, the compact HOTBIN has a 200 litre capacity yet occupies the same space as a wheelie-bin. Steaming away at up to 60°c the HOTBIN speeds up your food and garden waste recycling producing compost in just 30-90 days. Add waste into the HOTBIN with bulking agent for aeration and shredded paper to balance moisture. 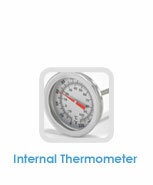 Then watch the heat rise on the thermometers and see how quickly your waste pile reduces! I am absolutely astonished at how good the compost is (and completely odour-free, too), and how incredibly easy the bin is to use. It just does its thing! Brilliant method for a family to deal with their food waste. We put EVERYTHING in - meat, cooked, raw, it deals with all of it. Why aren't we all doing this? Never come across a bin like it. Even in the depths of winter the contents of my bin remain warm enough for bacteria, fungi and other microorganisms to continue working. 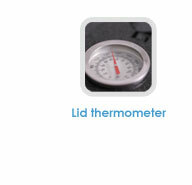 (that’s 140 degrees Fahrenheit) with the HOTBIN Compost Bin. It’s fast, efficient, easy to get started and keeps on working right through winter when most other methods go to sleep. DIMENSIONS ft / inch 3' 9" x 2' 0" x 1' 10"
CAPACITY (INT) 200 litres approx. 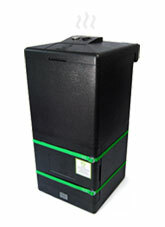 5 Star Compost Bin as rated by customers across the UK. I am absolutely astonished at how good the compost is (and completely odour-free, too), and how incredibly easy the bin is to use. Honestly, i don't do "gushing" reviews, but this is the one exception. Never looked back - Had HOTBIN 2 yrs now replacing two compost bins. Sits by backdoor for ease of reach. Yes you have to work a little extra at it but is worth it for the speed and beautiful compost received. Bin arrived very promptly, Superb after sales advice by phone, Excellent instructions and a wealth of info available on-line. A real talking point with friends and neighbours. Wish I had bought one before. I can honestly say I am obsessed and completely blown away by hot composting and your product. Its happily composting at 70°c (inside temp). Haven't enjoyed a product so much in years! Prompted by a letter from the district council advising that they were charging for garden waste collection I decide to go ahead with a purchase. That was in Feb, this year. After 11 weeks, I am pleased I did. How does composting work in the HOTBIN? Simply: Add kitchen and garden waste to your HOTBIN, get rich compost out. In a nutshell (yes you can compost those as well), the HOTBIN is an aerobic compost bin that gets HOT. When we say HOT, we are talking about temperatures of between 40-60°c; it’s this heat that allows bacteria to break waste down into compost in just 30 – 90 days, not to mention killing off weed seeds and pathogens! To reach these temperatures you need to feed the bacteria in the bin and provide them with oxygen. 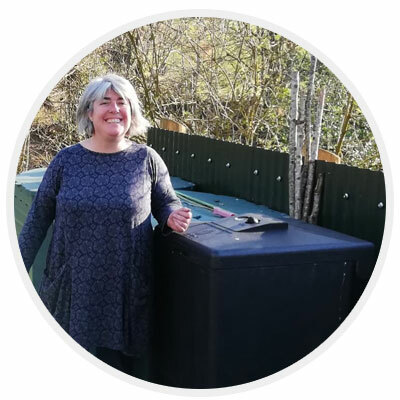 In the HOTBIN you can feed them with a wider variety of waste than traditional cold composting heaps and divert more waste from landfill in the process. Pretty good! Simply add anything from cooked food to garden waste then add some bulking agent and shredded paper or torn corrugated cardboard to the mix to keep the air flowing inside the bin. Once the bacteria are happily eating away, the heat in the HOTBIN will rise and the compost will follow. All of this without an untidy compost heap, back breaking turning and stinky odours thanks to the integrated bio-filter minimising them and reducing the attraction of vermin and flies to the bin. 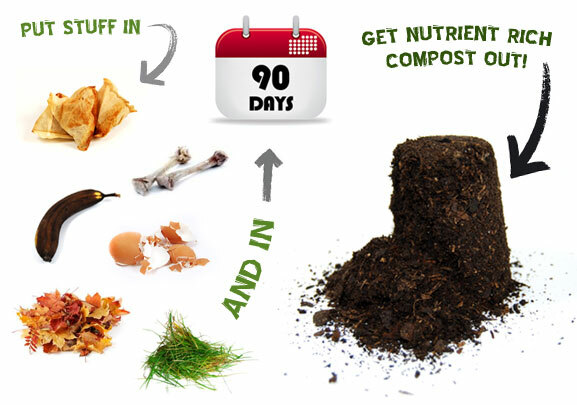 In 30-90 days from when you are hot composting, depending on the type of compost you would like, simply remove the front hatch and harvest your high quality HOTBIN compost. Job done! Never tried composting before? It’s easy. HOTBIN is perfect for beginners and experts alike. You DON’T need to be a master composter or have any gardening experience to produce your own high quality compost. HOTBIN looks the part and has been well designed to blend into any garden setting. 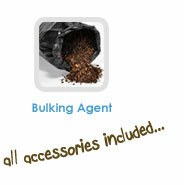 Simply add any food or garden waste, some shredded paper and bulking agent and HOTBIN will do the rest. Whether you have a small postage stamp of a garden or a large allotment - HOTBIN is the speedy, all year round composting solution for you. 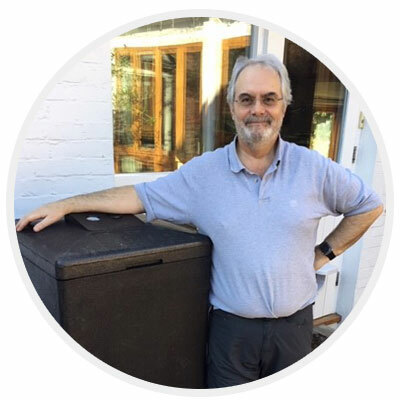 Explore our HOTBIN Help or contact one of our Composting Guru’s and they’ll be happy to help! 1. Locate your HOTBIN on a hard, flat surface. This discourages animals from nesting underneath the bin. 2. Ensure it is closed. 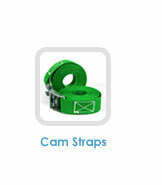 Cam straps should be secured around the hatch. Any gaps in the door/lid seal will result in loss of heat and the emission of detectable odours. 3. Keep your HOTBIN clean at all times. Ensure no food waste is left around the lid, hatch and door edges. This will help contain odours which may attract vermin and foxes. 4. Look after your HOTBIN. 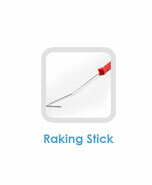 Avoid using strimmers, rakes and other garden tools around the HOTBIN. Do not use tools to lever off the hatch. 5. Take care of accessories. Keep tools and user guide together for easy reference.